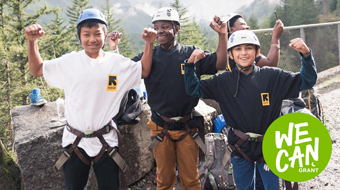 Ever wonder what the difference is between all the different types of GORE-TEX®? After all, isn’t GORE-TEX just GORE-TEX – our beloved waterproof and breathable fabric that comprises the most rugged outdoor jackets? Not all GORE-TEX is created equal. But knowing what the different types are, how they are different and when to use which one sometimes feels mysterious. You'll find an ever-changing number of GORE-TEX in Outdoor Research products – and each are geared towards different activities. Since not all of these fabrics are intended for the same use, to know which type of jacket you need to get you must first know what activities you will be doing and what attributes you want. Will you be cross country skiing? 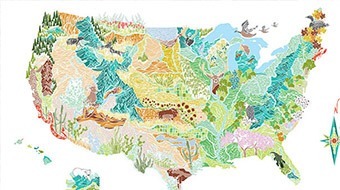 Taking short afternoon hikes? Do you want something lightweight? Super breathable? Mega durable? Just as a refresher to jog your weather-protection memory, GORE-TEX is a material made by laminating, or sandwiching together, an ePTFE (expanded Polytetrafluoroethylene) membrane to other face fabrics to create a waterproof yet also breathable fabric. The membrane is an incredibly thin and microscopically porous material (the pours are 20,000 times smaller than a water drop) and allows moisture to pass out of the material but not let water in. In addition, there are multiple fabric constructions: three-layer constructions (the membrane is bonded to face fabrics on both sides), two-layer (the membrane is bonded to a face fabric on one side and can have a liner on the other allowing the option for insulation), insulated and non-insulated. In addition, GORE-TEX can be paired with a variety of face fabrics, have DWR treatments and be seam sealed to increase its protection level. The type of GORE-TEX will often dictate the construction, as does the end use of the product. So, you ask, what are the different types? GORE-TEX is a versatile fabric that can be used for anything from mountaineering to everyday, around-town wear. Durably windproof, waterproof and able to breathe, GORE-TEX can come in anything from two- to three-layer constructions depending on the end use. In addition, there is an offshoot of this product technology, called GORE-TEX Paclite, a 2-layer GORE-TEX that is constructed to be lightweight, breathable and incredibly minimalistic. GORE-TEX Paclite are some of the lightest, most packable fabrics, ideal for activities that require saving space and weight – like running, hiking or cycling. And in exciting news for the environment, Gore now uses PFC(EC)-Free DWR coating in 2L Paclite. 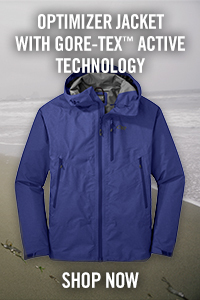 A good example is the Foray Jacket made with a two-layer GORE-TEX with Paclite technology. 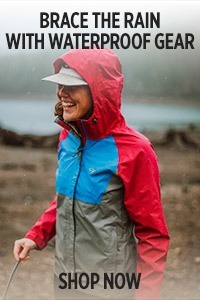 Just over 16 ounces, this feather-light jacket has been tested by our athletes and withstands the rough use of trails despite its miniscule weight. 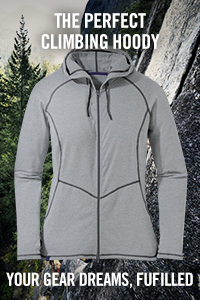 The Aspire Jacket is our women's version of the Foray, also packed with the same 2-layer GORE-TEX Paclite technology. 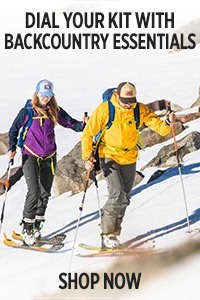 GORE-TEX Active – as the name merits – is meant for highly aerobic activities that you will likely do in a day (like cross-country skiing, alpine climbing or other stop-and-go activities). 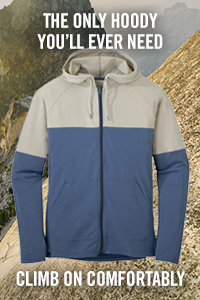 You want a jacket to breathe, and breathe well, when you are, for example, skinning up the backside of a mountain. But it also needs to be simultaneously protective in less-than-ideal conditions. 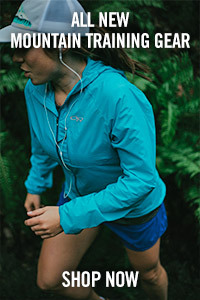 GORE-TEX Active is lightweight, capitalizes on a minimalistic design and is incredibly breathable, which is ideal for these stop-and-go activities. 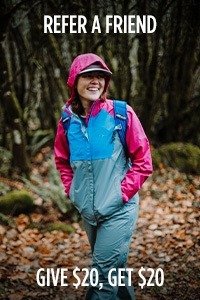 Typically, GORE-TEX Active (as well as GORE-TEX Pro) are made with a three-layer construction. 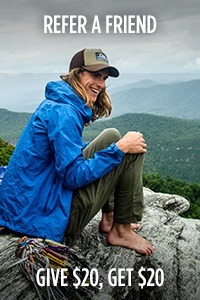 One Outdoor Research favorite is the Men's Optimizer Jacket and Women's Optimizer Jacket, the best GORE-TEX pick for athletes who need durable weather protection during active endeavors. 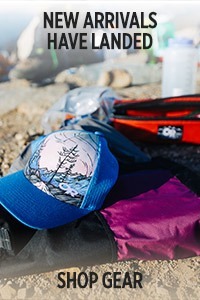 The Optimizer is a lightweight powerhouse of a hard shell that uses nylon face fabrics along with a three-layer GORE-TEX Active for fast-and-light mountain missions. 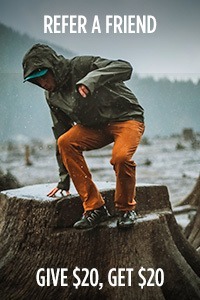 GORE-TEX Respiration Positive is a spinoff of the GORE-TEX you'll find in your favorite jackets, only optimized for weatherproof shelter systems. You can find GORE-TEX Respiration Positive in one of our most popular shelters, the Alpine Bivy. Respiration Positive makes sleeping in wet environments more comfortable by combatting the effects of condensation and allowing warm, moist air to escape while you sleep. That means that while internal moisture is discharged from the bivy, external weather elements are also warded off, for a completely dry, comfortable sleeping experience. Now for something a little different - GORE WINDSTOPPER is a fabric laminate that offers exceptional cold weather protection and moisture management, often found in Outdoor Research gloves and hats. WINDSTOPPER does just what its name promises; it blocks chilly gusts with a completely windproof, yet breathable, layer of protection. Our Men's Stormtracker Sensor Gloves and Women's Stormtracker Sensor Gloves are two of our top-performing WINDSTOPPER products, favored for their windproof warmth as well as their touchscreen compatibility. 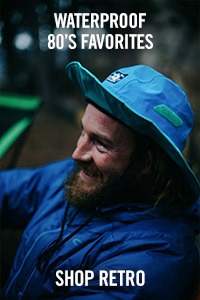 If you want to see more, check out the full list of Outdoor Research products that use GORE-TEX®.